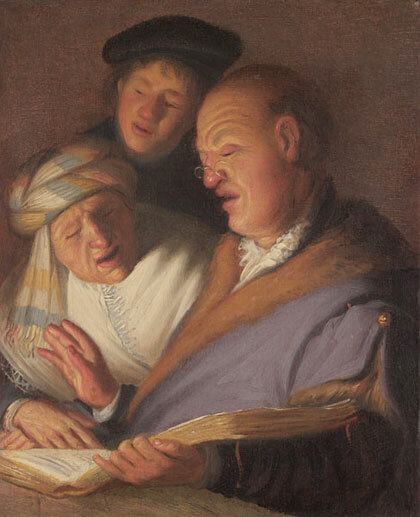 A very early work by Rembrandt, from a series of allegories of the five senses, is on view in the [remastered] galleries, on loan from one of the greatest private collections of Dutch Golden Age paintings in the world. 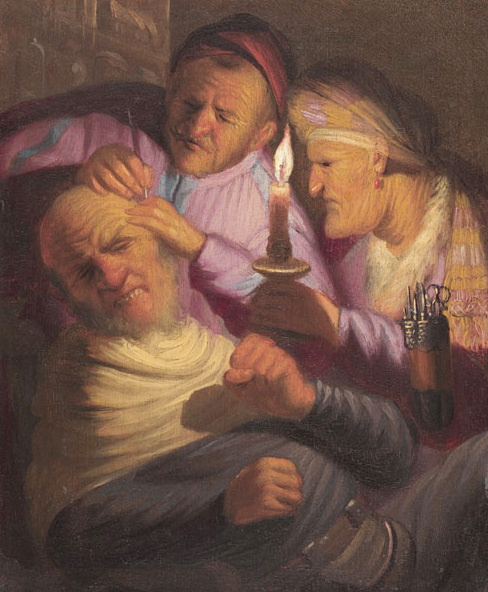 While certainly the work of a young artist, yet to find his mature voice, this small painting nonetheless reveal many of the distinctive hallmarks of Rembrandt. 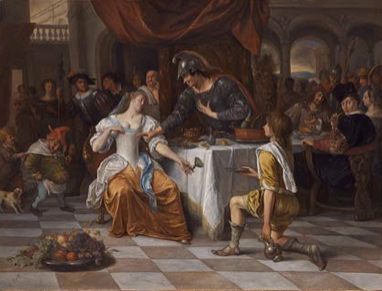 A luxurious painting of Antony and Cleopatra by Jan Steen from the same collection has been installed in the same space. Jon Seydl, director of curatorial affairs and curator of European art, shares insights on two early works by the Dutch master. Filmed by WGBH Forum Network at the Thursday, April 16, 2015 Master Series event.